What’s your way of working? Every campaign needs its own methodology to get from A to Z. The ADPNDX® methodology is focused on making conversion happen. We don’t believe reach is an end in itself: it is a means to make people buy. Getting noticed is the first step in converting conversations. Making sure you reach a large part of your audience is the ‘bruto potential’ of your campaign. A relation is built on dialogue. The same counts for a brand. You need to get your audience to be engaged through a conversation starter. Make them like, share, mail, visit… you! Where other online campaigns stop, ADPNDX® takes it to the next level. Engagement has no value without conversion. To turn your customers into loyal customers, you need to keep the conversation going. Nurturing behavior leads to more sales in the long term because it keeps your customers coming back. What do you mean with Hi2Buy? An audience does not become a customer base out of the blue. It takes focus and dedication to define but above all to reach your goal. We don’t settle for online conversations as a primary goal. Reach and engagement should lead straight to sales. In everything we do for your brand, our thinking is structured on two levels: HI (conversation) and BUY (conversion). In our basic grid, we use both levels to define your challenges, messages, contact mapping, and desired behavior. What about my conversion level? Conversion comes in all shapes and sizes. 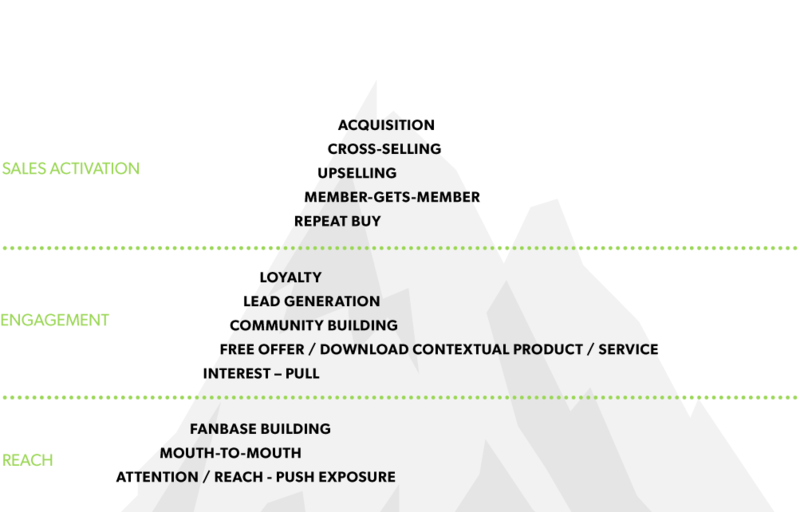 ADPNDX has created the ‘conversion-pyramid’ to guide you through the search for conversion. The higher you go, the higher the level of conversion – with the ultimate level of conversion being the acquisition of new clients. We’d rather see campaigning as a continuous process of thinking, making, doing, and evaluating. These aspects are interrelated and influence each other constantly.